If you’ve ever left a muddy trail of coffee on the table or counter when pouring yourself a cup of coffee, it's not your fault. Some carafes are drippier than others, as our experts can tell you. As part of our in-depth testing of coffee makers here at Consumer Reports, we conduct carafe-handling evaluations that include a dribble test. “We use three judges with different-sized hands," explains Ginny Liu, CR's test engineer for coffee makers. Dribbling tends to occur with that last bit poured, so with carafes near-empty, the judges pour contents into a cup and observe the results. One big-picture takeaway in our dribble research? Thermal stainless steel carafes—stellar at keeping coffee hot—tend to dribble more than glass carafes. No thermals made our list below. The dribble test is just one of many evaluations we use to rate drip coffee makers. Consumer Reports looks at brew performance, convenience, and general handling. Our performance tests measure, among other things, brewing temperature and contact time (how long water stays within the ideal range of 195° to 205° F). We test concentration using a refractometer, a device that measures the amount of coffee dissolved in each brew. In our convenience category, we look at ease of use (setting timers, filling the reservoir, cleaning the machine, and the like). Below are five highly rated models from our coffee maker ratings that also aced the dribble test, listed in alphabetical order. All are programmable, and all feature glass carafes, which should leave your counters nice and clean. CR’s take: This Bella drip machine is stylish and practical. 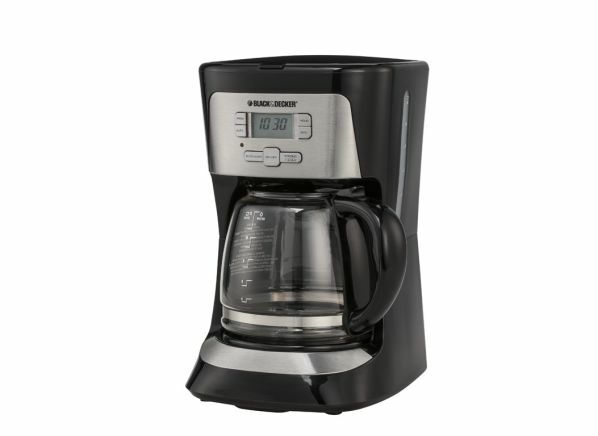 It comes in black stainless steel and includes a few special features, such as the ability to pause brewing for a quick pour and a "time since brew" feature that lets you know how long your coffee has been sitting in the pot. Other pluses include brew-strength control, auto-shutoff, and a cleaning indicator. 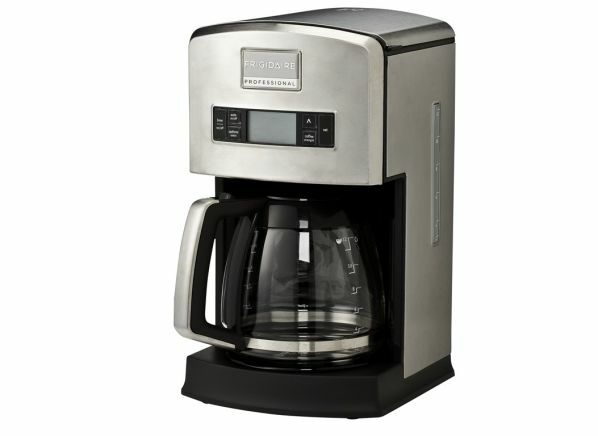 This machine makes a 40-ounce pot in just 9 minutes and earned a Consumer Reports rating of Excellent for convenience. CR’s take: At just 14 inches tall, the Black+Decker CM2020B is compact but performs well enough to please even coffee connoisseurs. 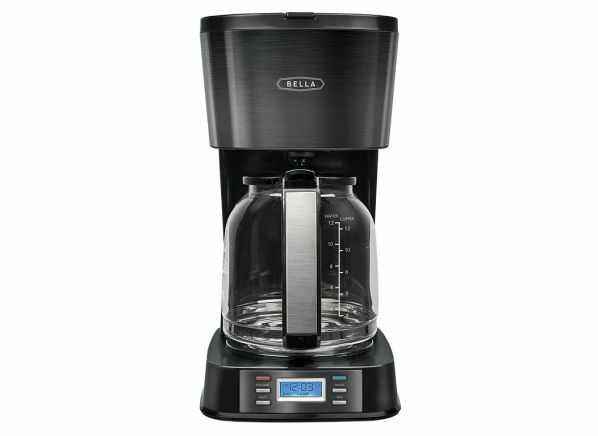 Like the Bella above, it boasts a 9-minute brew time and received a rating of Excellent for convenience. 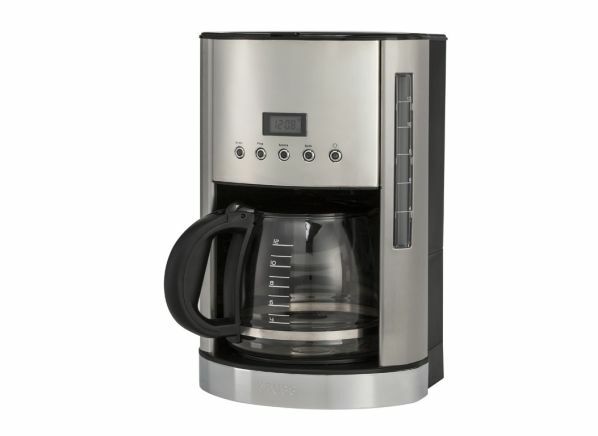 Notable features include a small-batch setting and brew-strength control. Scaled-down dimensions make this Black+Decker a good fit for a college dorm or a small kitchen. 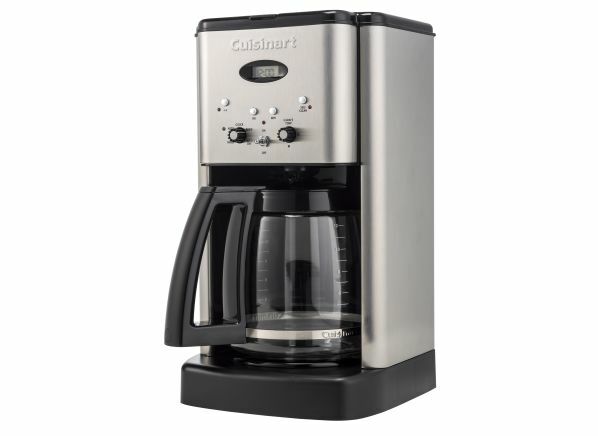 CR’s take: The Cuisinart Brew Central DCC-1200 includes a feature not seen on many coffee makers: adjustable carafe temperature control. This should help prevent burnt coffee that can result from a carafe sitting too long on the warming plate, like you might find at a bad diner. In addition, this Cuisinart comes with a permanent filter and an indicator telling you when to clean the machine. In our lab tests, it got a brew-performance rating of Very Good and brews a 40-ounce pot in 9 minutes flat. It’s the most expensive model on this list, but if temperature control and a handsome profile speak to you, it's a worthy contender. CR’s take: When you think of the brand Frigidaire, coffee makers probably aren't the first appliance that comes to mind. But the Frigidaire Professional Programmable Drip FPDC12D7MS is a great little machine. It can brew a full pot in a speedy 8 minutes, and our testers gave it a rating of Very Good for convenience. With auto-shutoff and brew-strength control, it has everything you need at a great price. CR’s take: For the minimalist who can't stand the sight of most appliances, the quietly dignified Krups KM730D50 might be a match. In our tests it garnered a rating of only Good for brew performance, but it has a 9-minute brew time, a permanent filter, and auto-shutoff. It may not be the best choice for the price, but if you're experiencing love at first sight, it shouldn't disappoint.